Looming Death: Coffee Break Time. 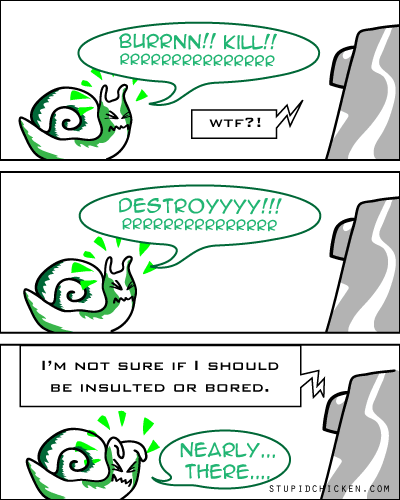 I’m not sure how Killer Snail made it to attack someone new. Did I promise continuity anywhere in my past comics? No. Now shut up and sit down.